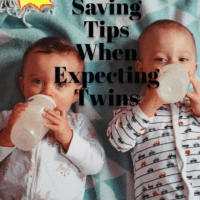 When we found out we were expecting twins we were in shock! My husband and I are big time planners. He had mapped out the next ten years on an excel spreadsheet. We had even purchased a home to accommodate our planned family of three. As you can imagine, our plans and budget had to change! 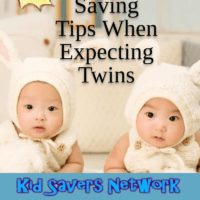 Our twins are now four years old. 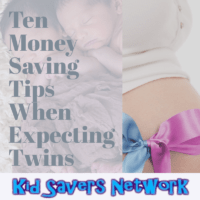 We’ve learned quite a few life lessons along the way, especially how to save money with twins. 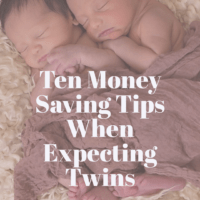 I’ve outlined ten tips from my experience below! 3. Buy & Sell on Craigslist. 4. Don’t buy lots of expensive clothing. 10. Take the Tax deductions! We purchased mini cribs. Not only were these cribs smaller and saved space, they were less expensive as well! We found them on amazon. 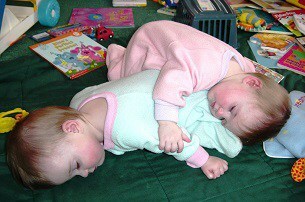 They stayed in these cribs until they transitioned into a twin size bed at age three. (Editors Note: You can find our page on cribs for small spaces here). There are some huge consignment sales that happen seasonally in our region. These sales usually let first time moms shop before anyone else. 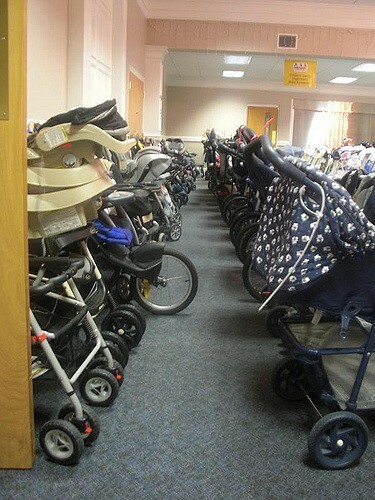 They also have a lot of the large baby equipment you use during the first year for a fraction of the price. Items like exersaucers, bouncers, and swings are great items to purchase at these sales. There’s a great website and facebook group called “Consignment Mommies” and they can help you find the nearest sale! I had my heart set on purchasing a double Bob stroller for our outdoor adventures we would have as a family of four. When I discovered what these strollers retailed at, I knew I had to come up with another avenue for purchasing. I found ours on craigslist for ½ the price. After the twins outgrew it I sold it on craigslist and made the same amount of money back as I had originally spent in purchasing it. It has been my experience that babies, toddlers, and children are fairly rough on clothing. Don’t waste your money on buying lots of expensive brand name clothing just to get paint, food, or grass stains on them. Instead, purchase a lot of play clothing from brands like Carters, that can hold up to the wear and tear of daily play. When there is a special occasion such as Christmas or photos, I’ll buy that really nice outfit and get a lot of use out of it. We became Amazon prime members, and also registered as an “Amazon Family”. This gave us access to even deeper discounts (20% off subscriptions) when we bought diapers in regularly, in bulk and online. Costco and Sam’s club are also great buys on diapers. Your membership to these wholesale clubs could well pay for itself after three months’ worth of diapers. Once again Costco became our go to place to purchase formula. 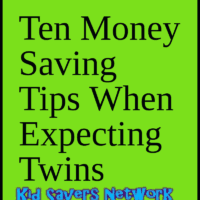 Their formula brand (Kirkland) is almost identical to the leading Enfamil and Similac brand and is half the cost. Again, this is your membership paying back! If you do need to use formula, ask your Doctor if the pharmaceutical rep in your area can help you out. Our Doctor gave us a great referral and we got a huge package at our doorstep of free formula that lasted us nearly a month. You can also check on the manufacturer’s website like Enfamil and Similac. They both have their own “Savings and Rewards” program. Also, see if there is someone you can contact and let them know you are going to be purchasing a LOT of formula. I’ve seen moms of twins get a huge amount of coupons this way. A lot of my friends already had a baby who was now well past needing the swing, the play mat, or the walker so we borrowed a lot of these items! You may only need certain items for a few months at a time, so this is a great way to not spend a dollar! I learned the hard way that my babies never wore shoes. First, their feet are growing at an astronomically fast rate and second they didn’t really like the feeling of their feet confide to something. So all these cute little sneakers and mary jane shoes, yep, they stayed sitting in their closet, never to be worn. So learn from me, don’t buy shoes until they are walking. 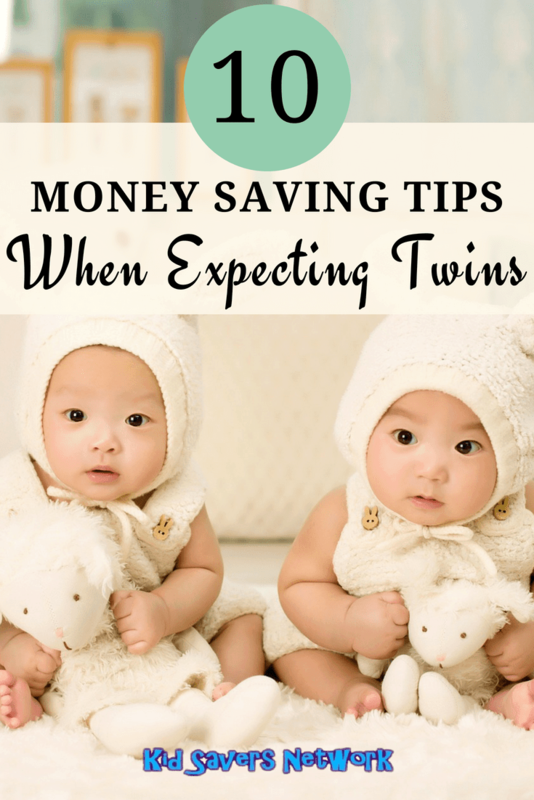 A certain percentage of child care expenses can be deducted based on your monthly income. 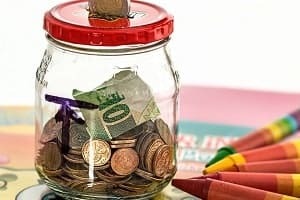 In addition, a lot of employers offer a dependent care account where you can pay a certain amount of dollars out in before being taxed to pay for dependent care (like daycare! ).